338 pages | 4 B/W Illus. 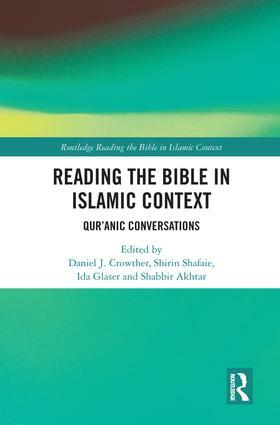 Danny Crowther is a postdoctoral Research Fellow at the Centre for Muslim-Christian Studies, and an Associate Member of the Faculty of Theology and Religions at the University of Oxford, UK. Shirin Shafaie is a postdoctoral research fellow at the Centre for Muslim-Christian Studies, Oxford and teaches Middle East Politics at SOAS, University of London. She is also the founder and director of Visual Academics LTD.
Ida Glaser is director of The Centre for Muslim-Christian Studies and a lecturer at Wycliffe Hall, Oxford, UK. Shabbir Akhtar is a Research Fellow at the Centre for Muslim-Christian Studies and a Member of the Faculty of Theology and Religions at the University of Oxford, UK.